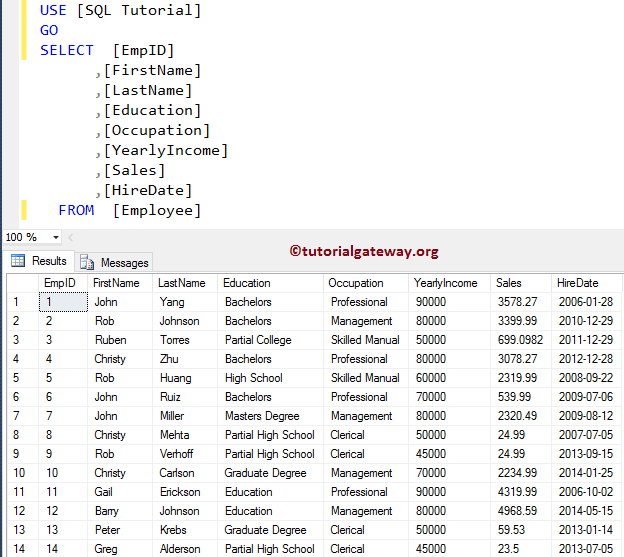 SQL MONTH Function is one of the Date and Time Function, which will return an integer that represent the month part of a specified Date. date: It can be an expression that returns the date, or you can use the date and time directly. In this example, we are going to return the Month numbers from Hire Date in Employee table. 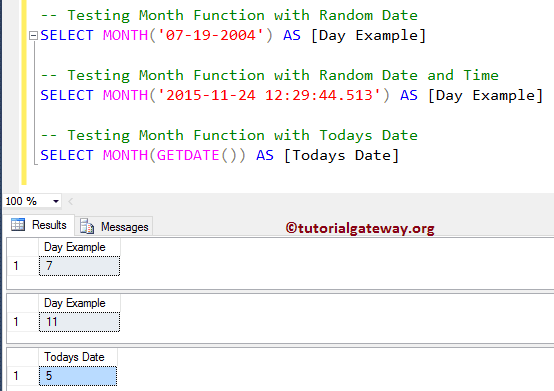 To achieve this, we are using both the DATEPART Function, and Month function. This explains that, you can get the month number using both these functions. From the above screenshot, you can observe that, the DATEPART function, and Month function are returning the same result. 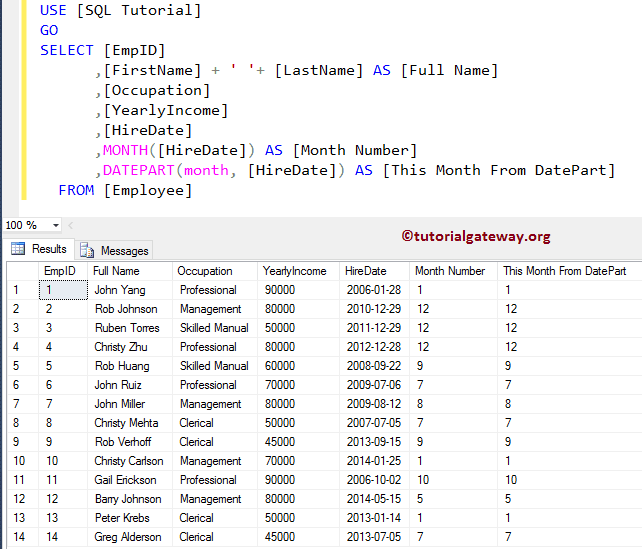 Remember, before 2012 people used the DATEPART function to extract the Month Number but in SQL Server 2012, Microsoft introduced this Month function.